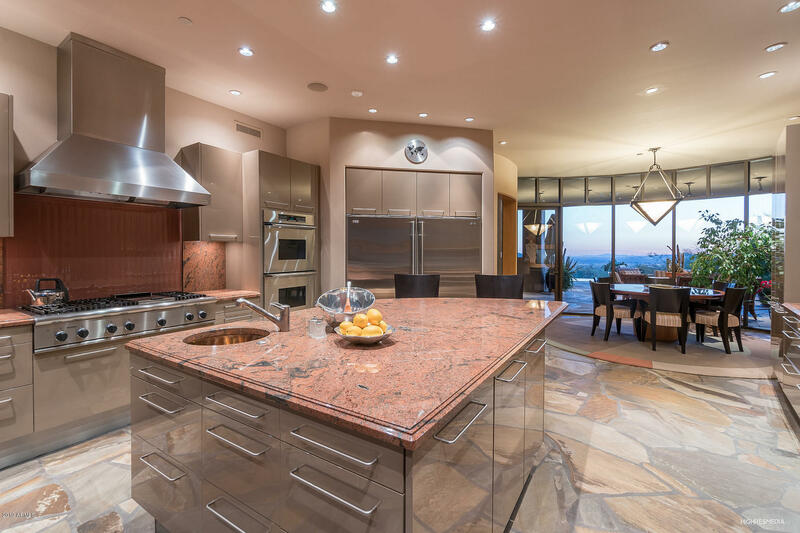 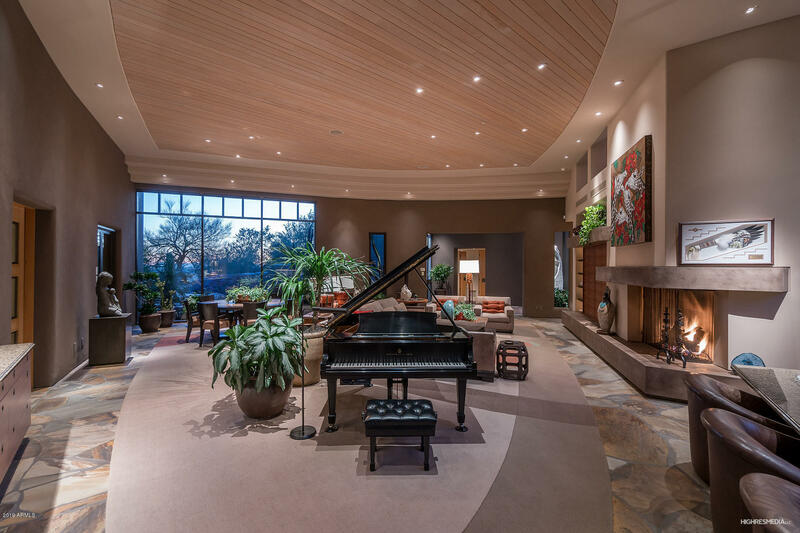 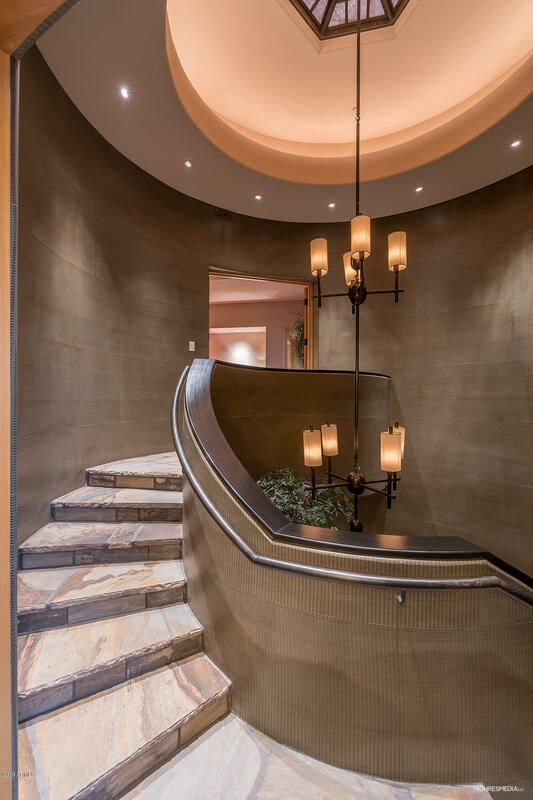 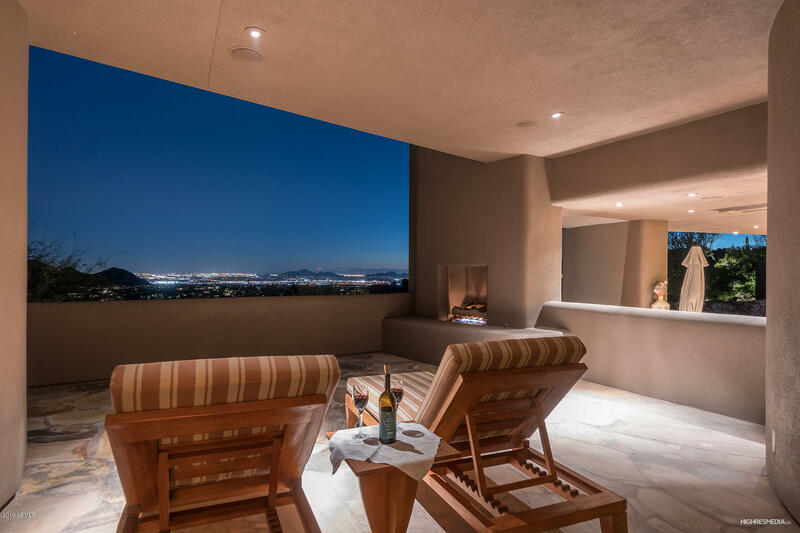 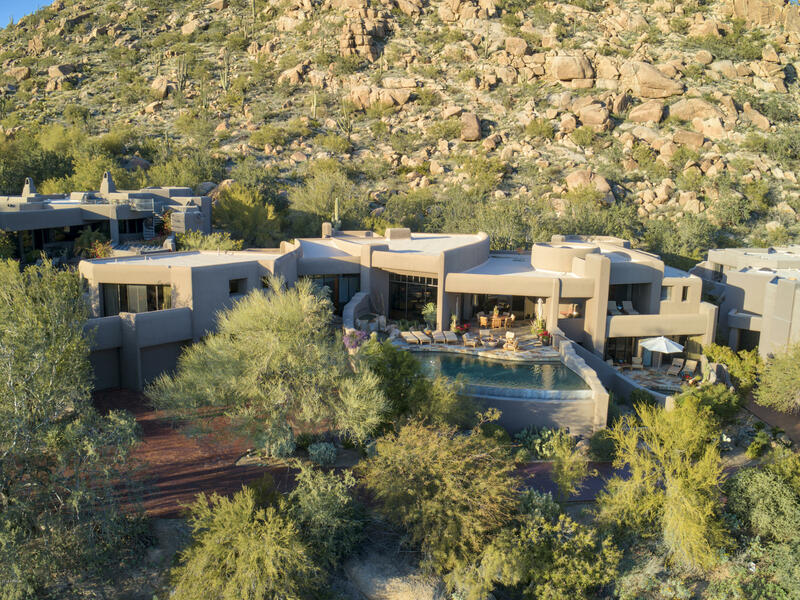 360-degree spectacular views surround this Desert Highlands Masterpiece from renowned Architect; Bing Hu, acclaimed Designer; David Michael Miller and masterfully constructed by Linthicum Custom Builders. The Estate is to be sold completely furnished, turn-key ready for your immediate enjoyment. 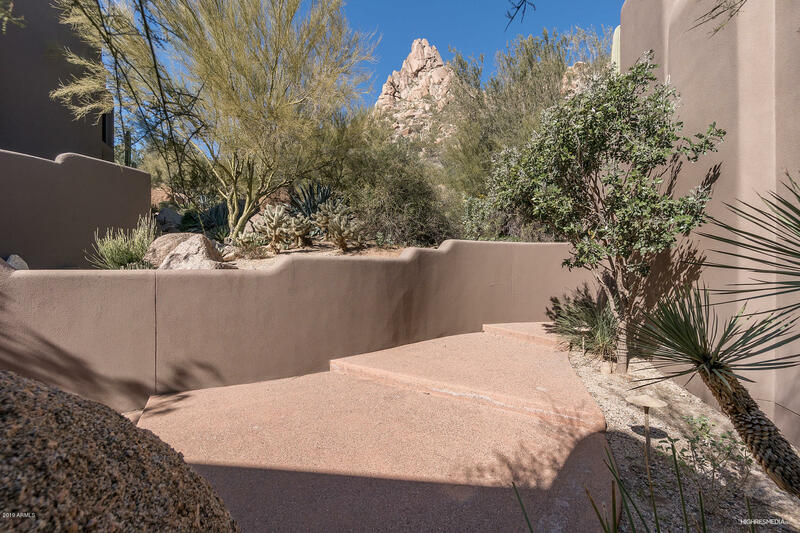 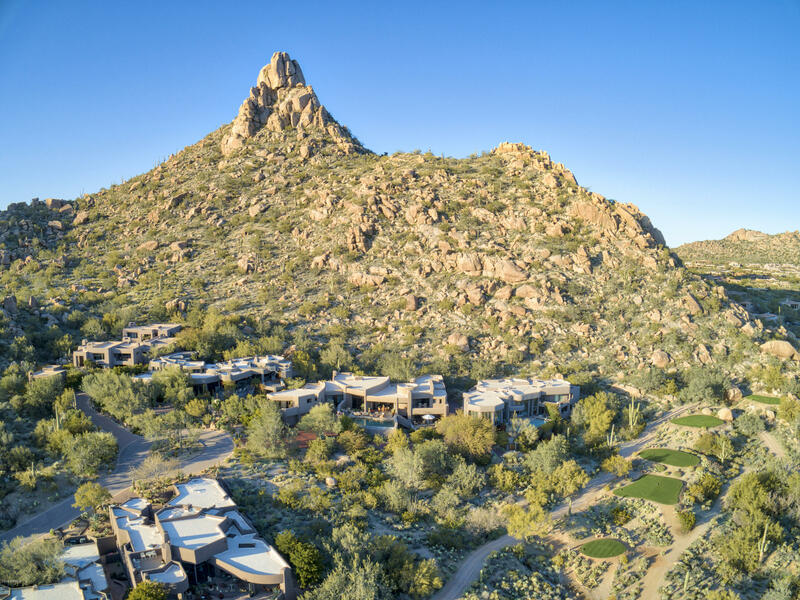 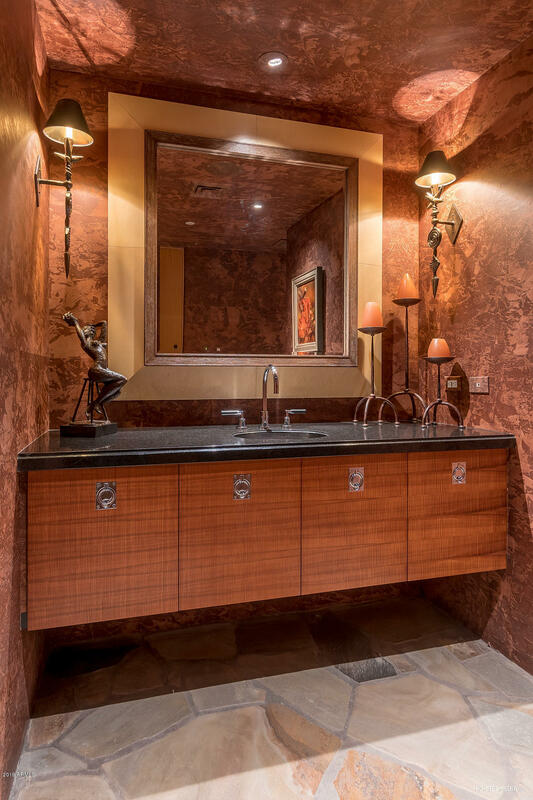 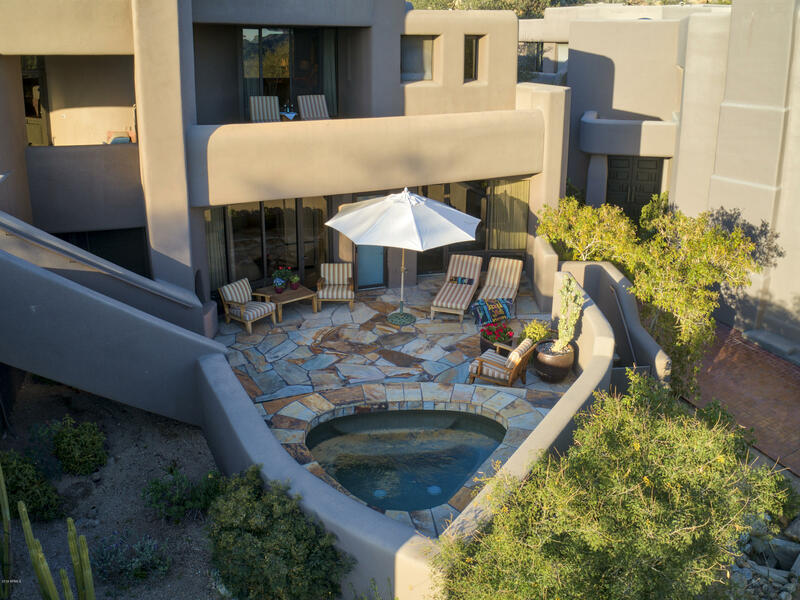 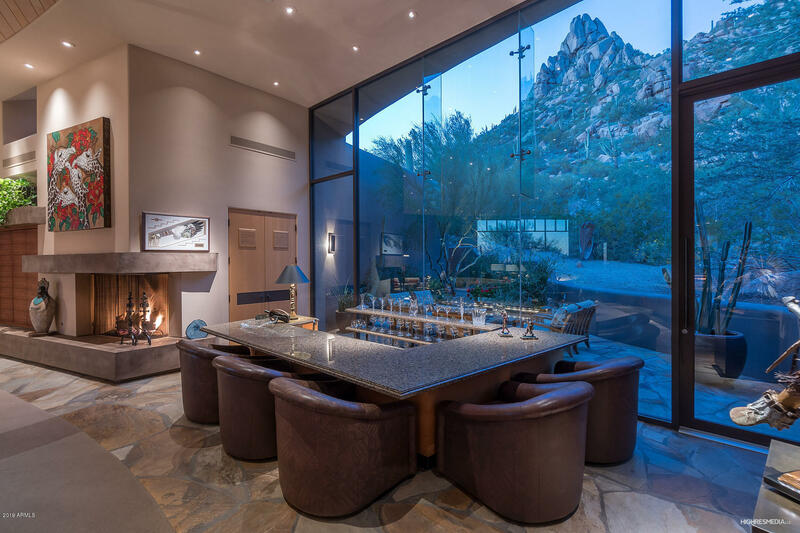 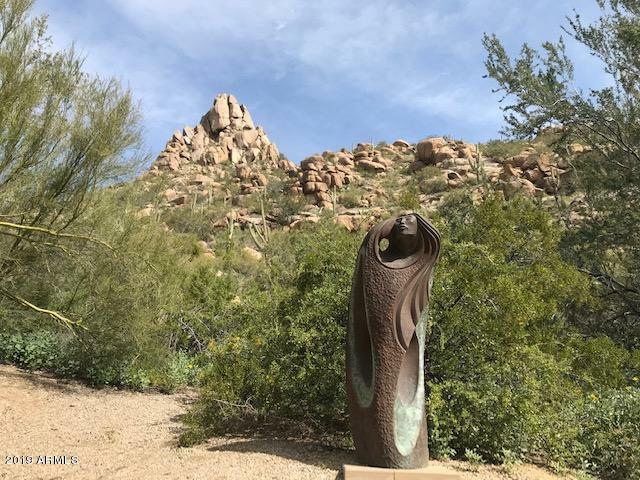 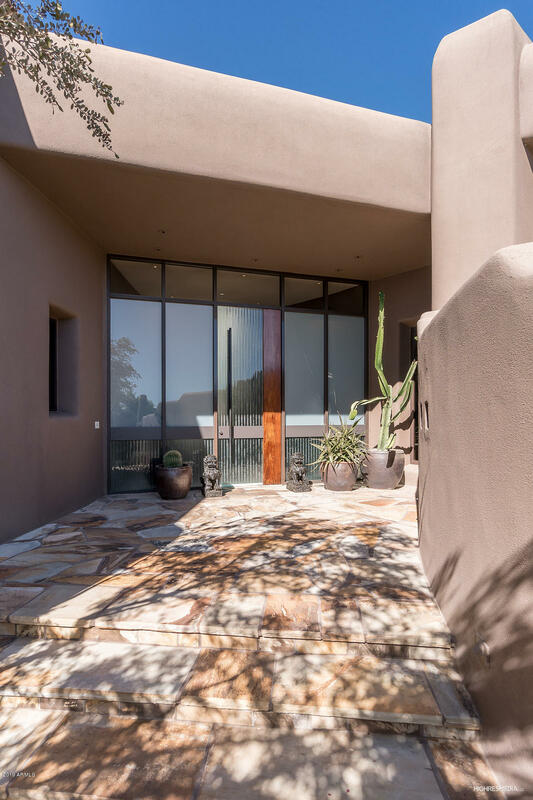 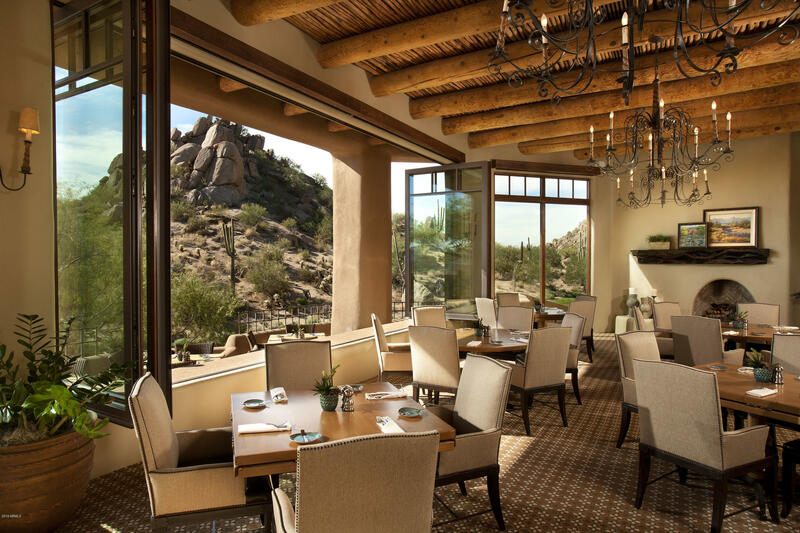 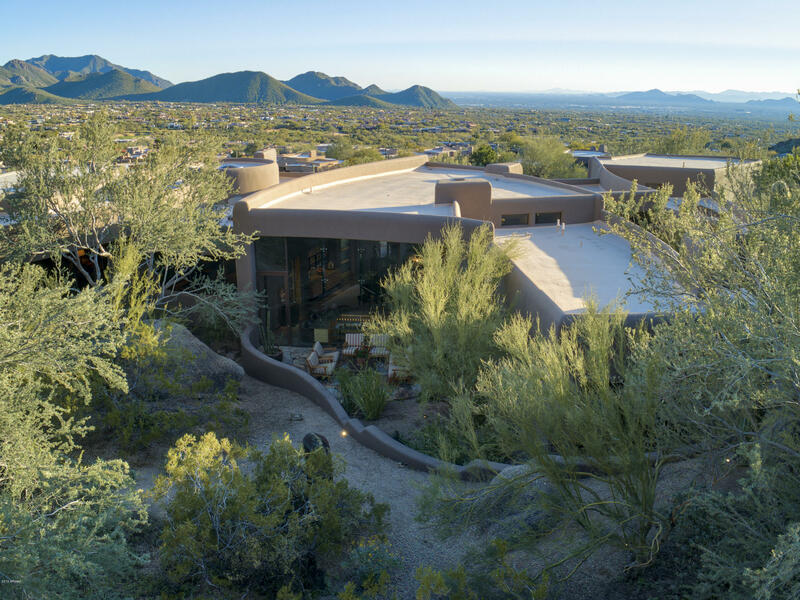 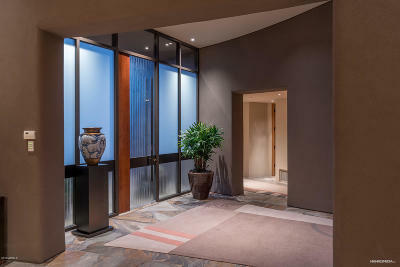 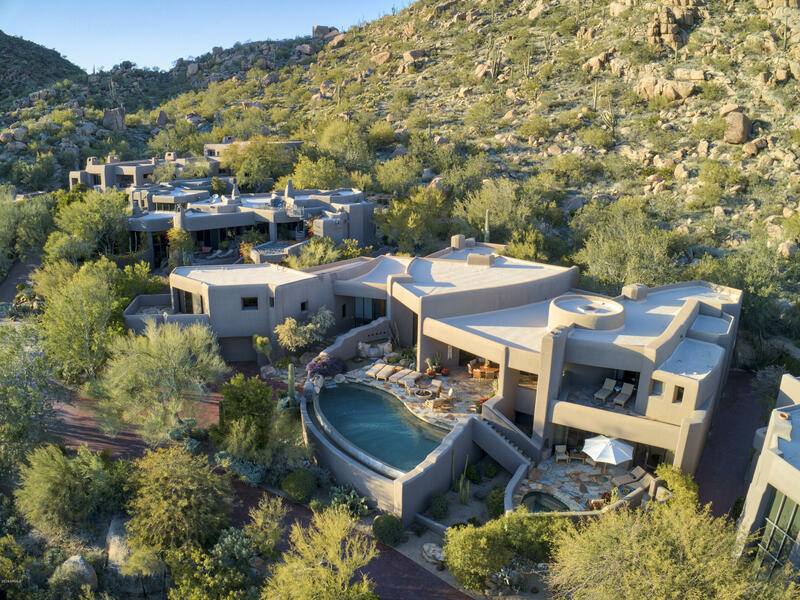 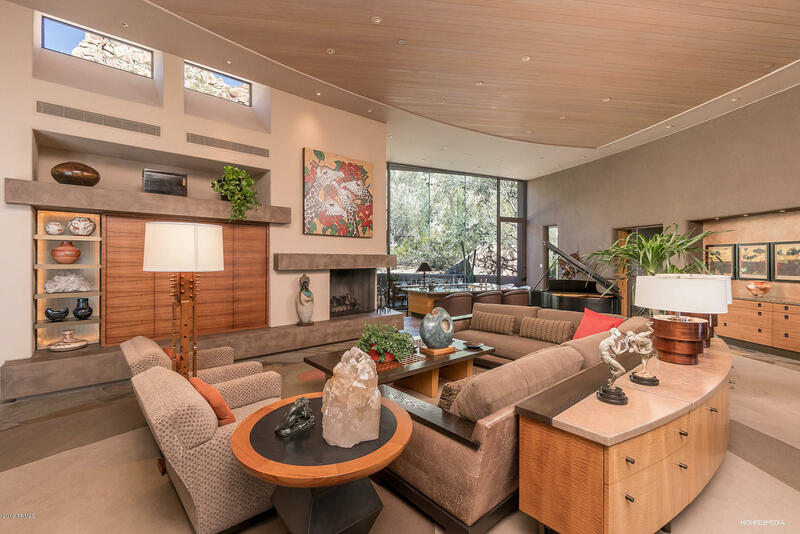 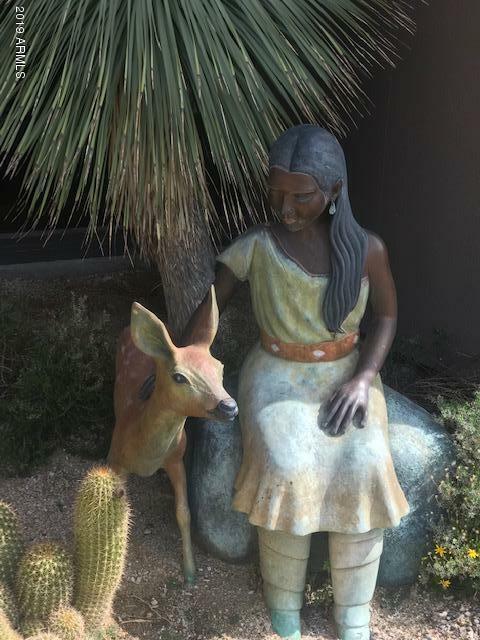 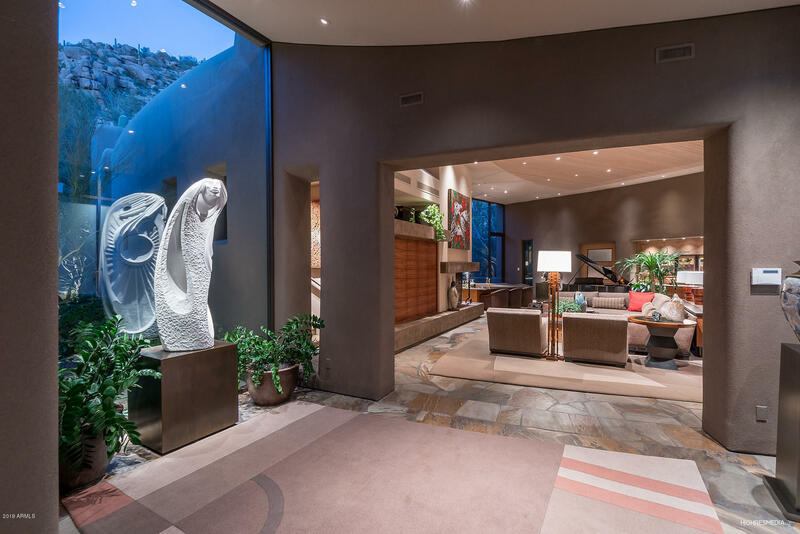 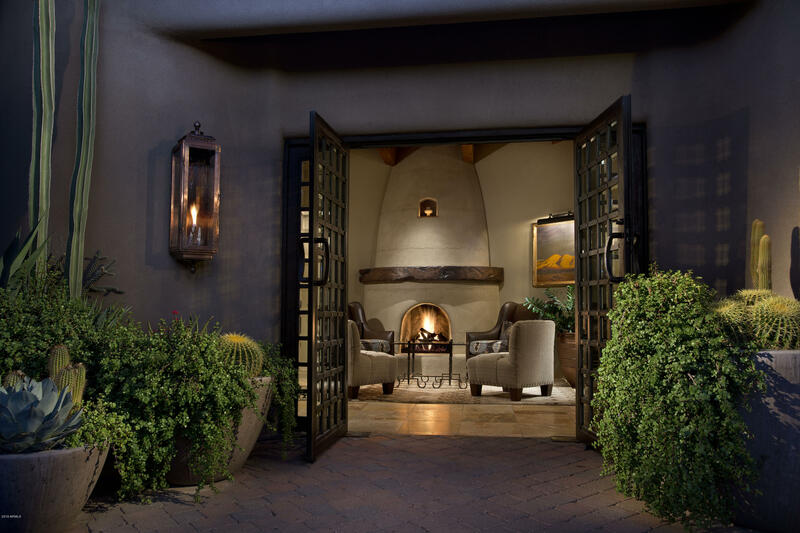 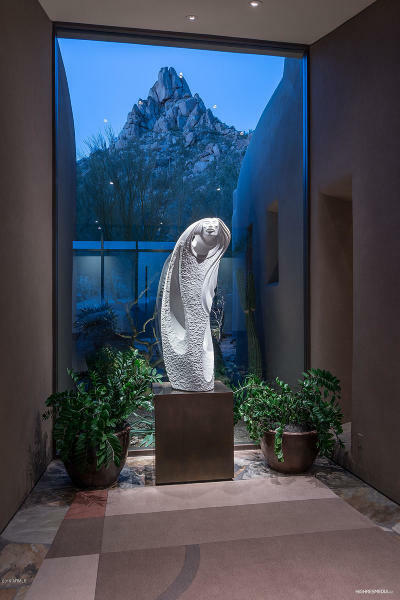 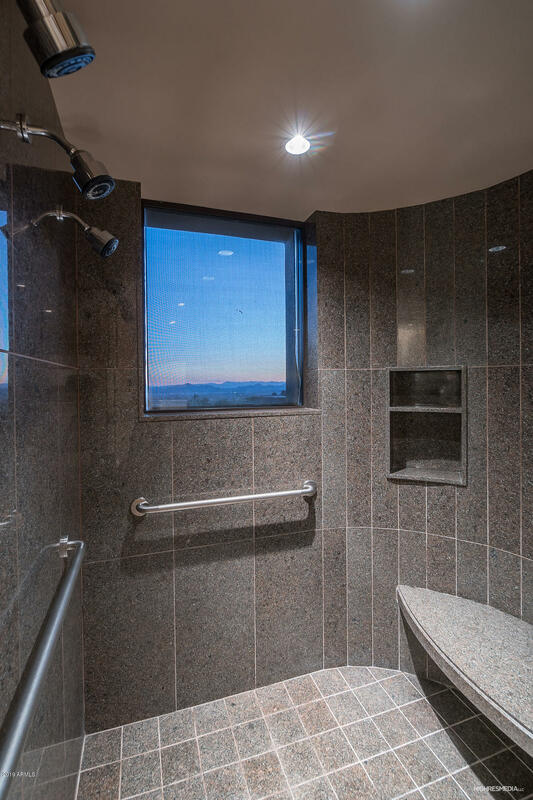 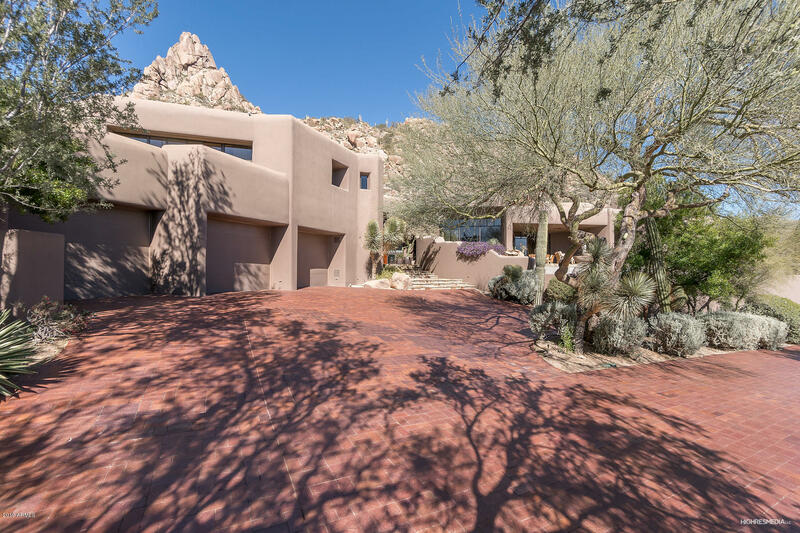 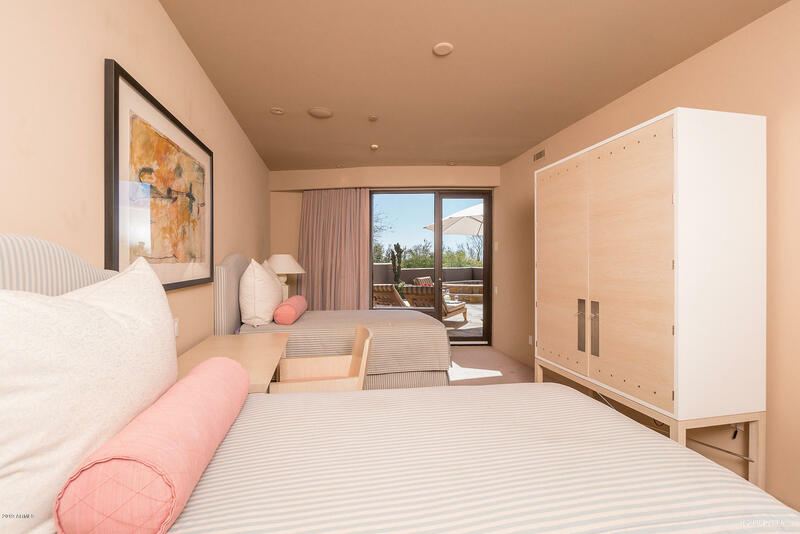 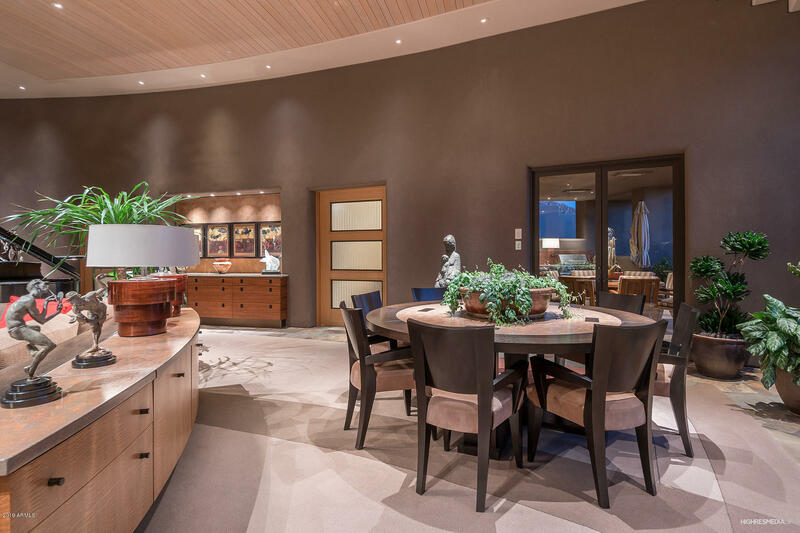 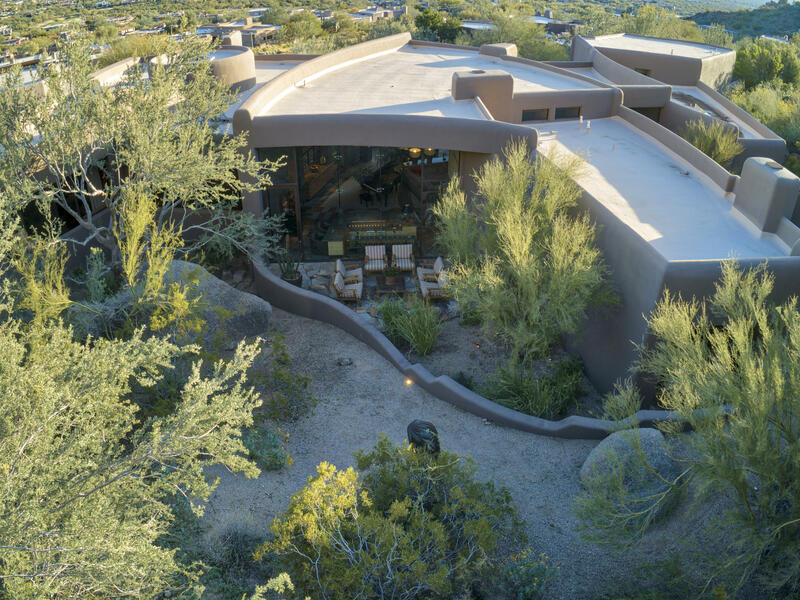 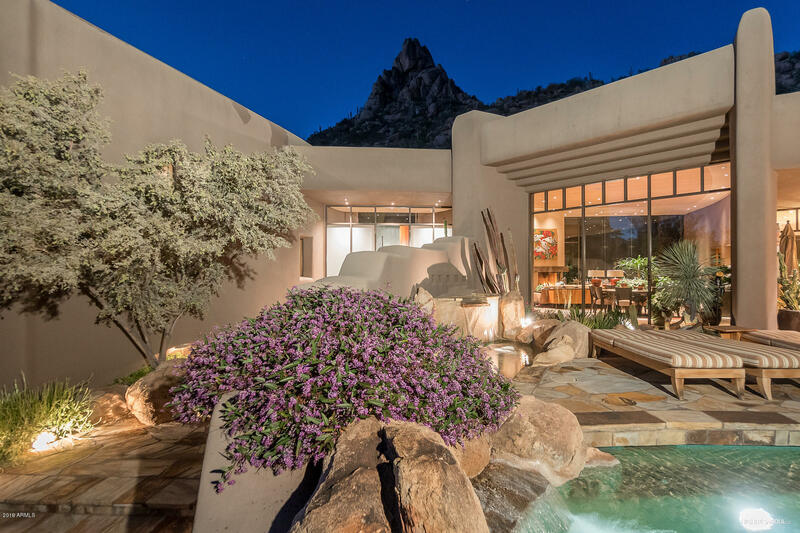 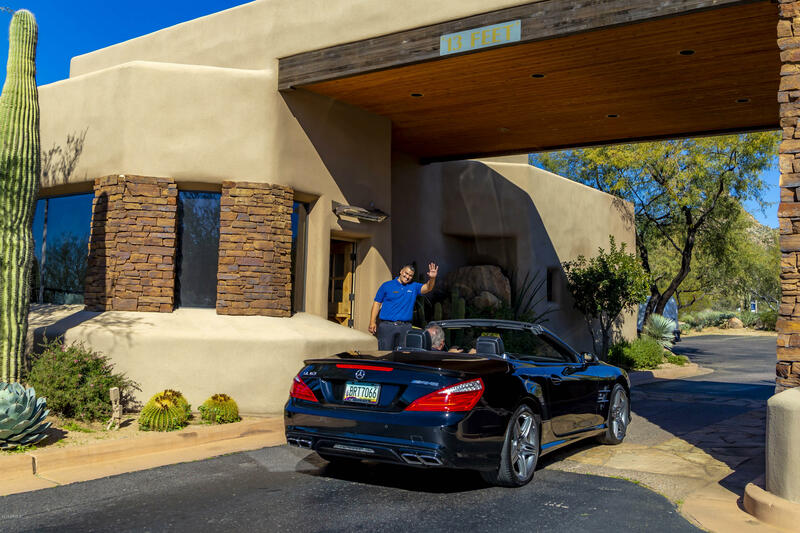 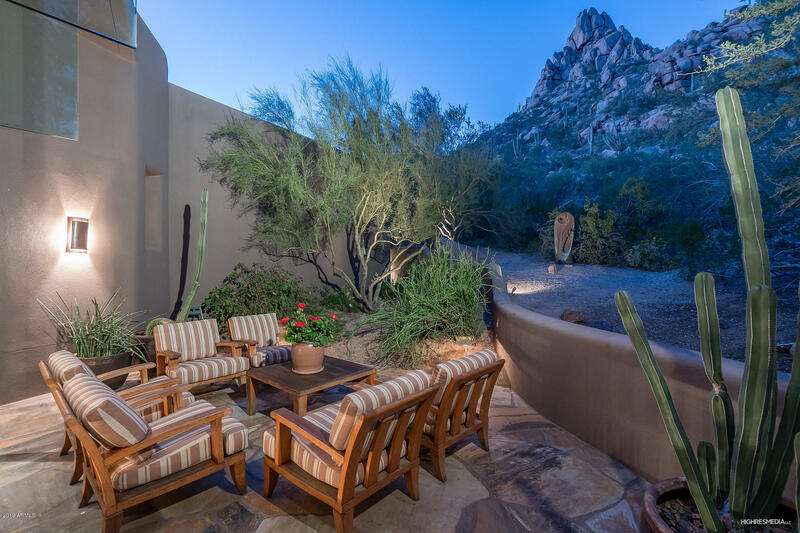 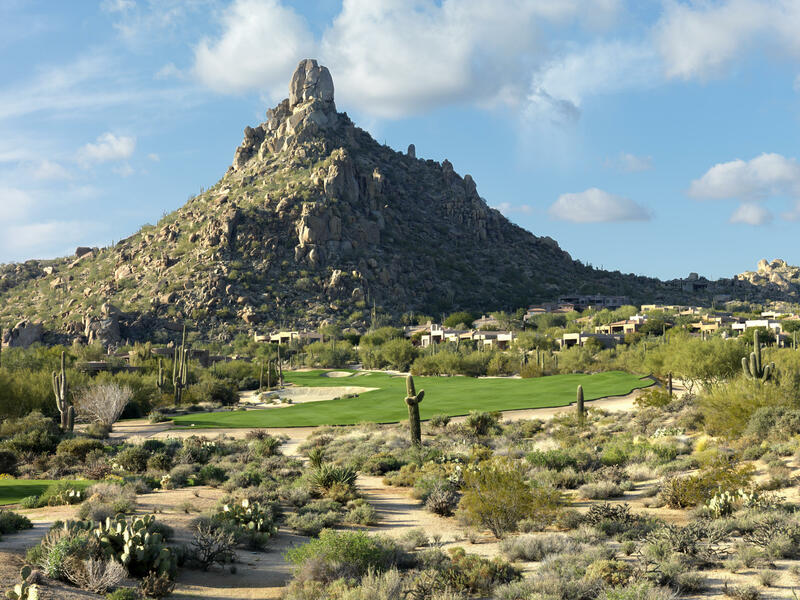 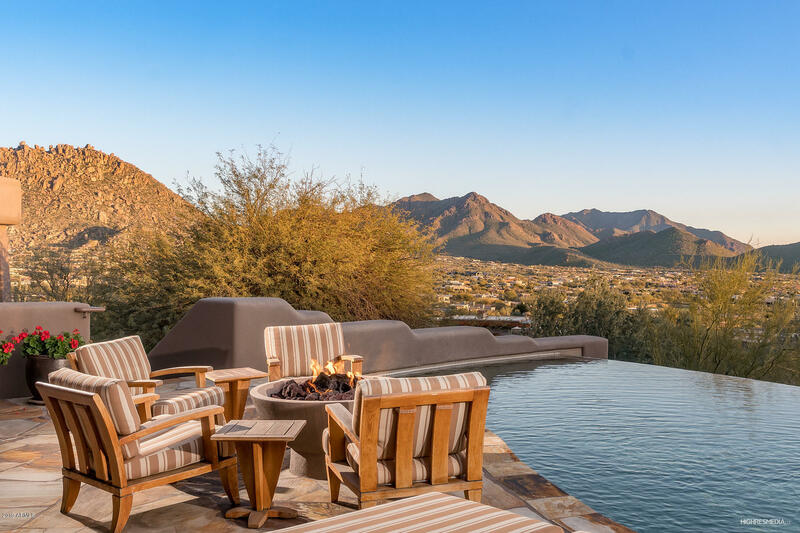 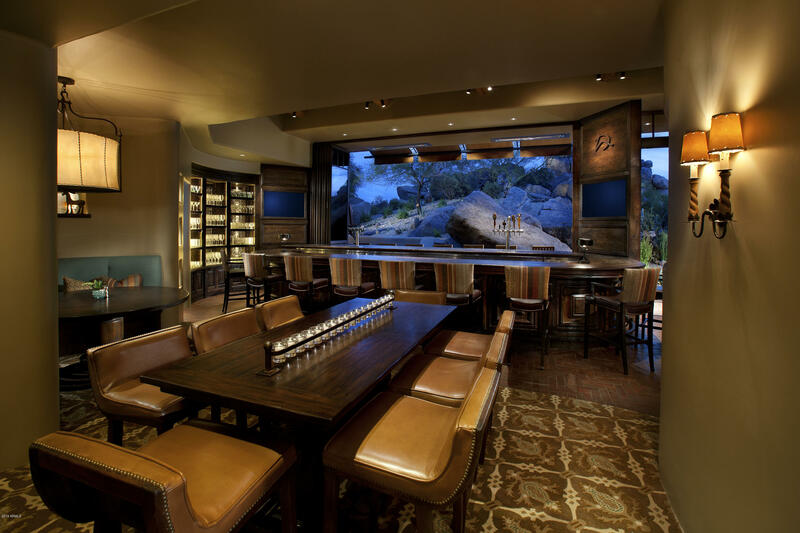 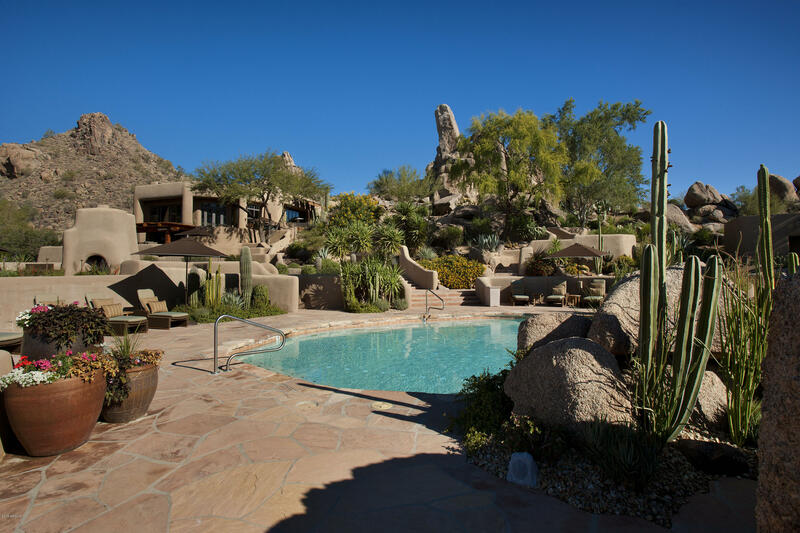 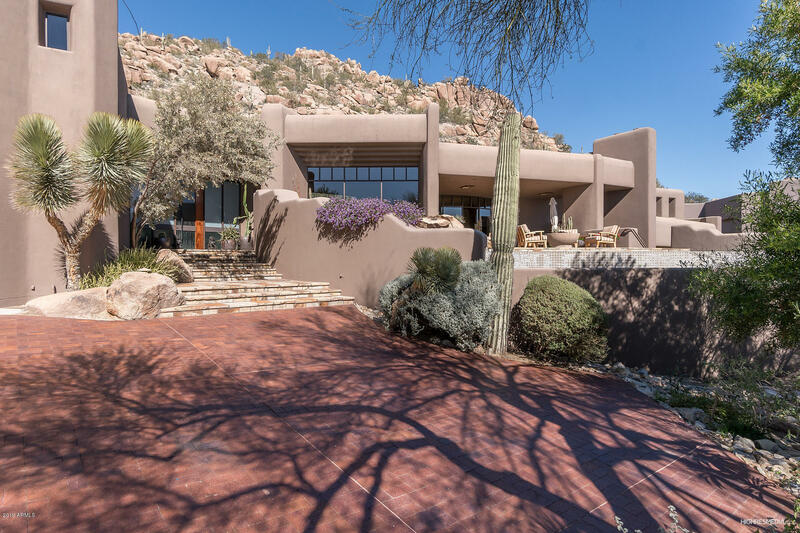 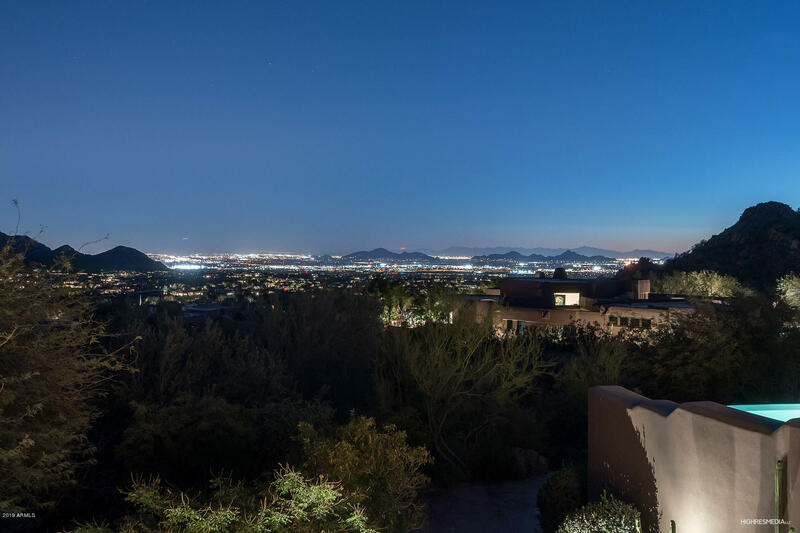 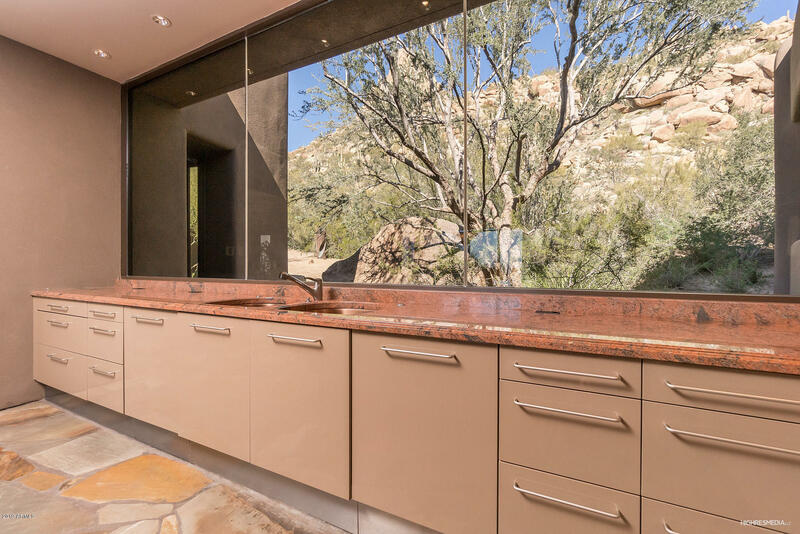 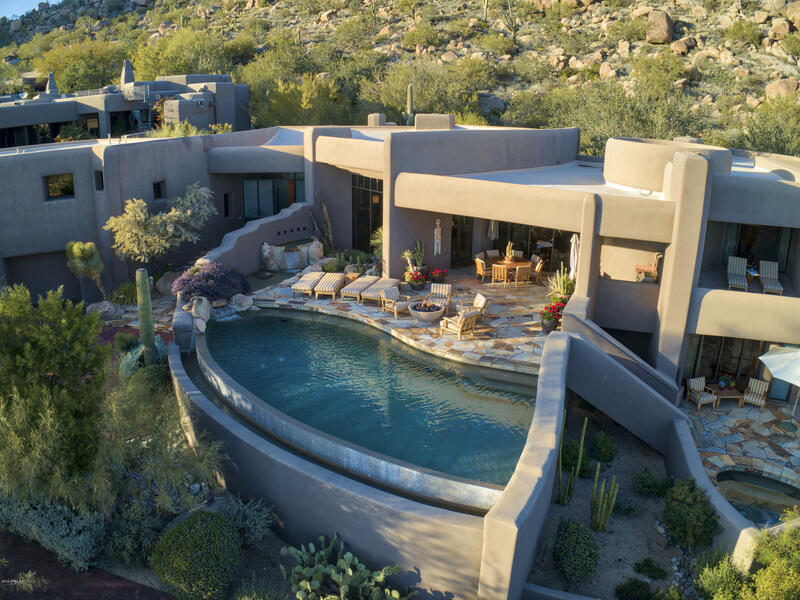 The home is nestled on the personally chosen lot of Desert Highland's Developer at the base Pinnacle Peak soaring above, in exclusive Hillside Villas. 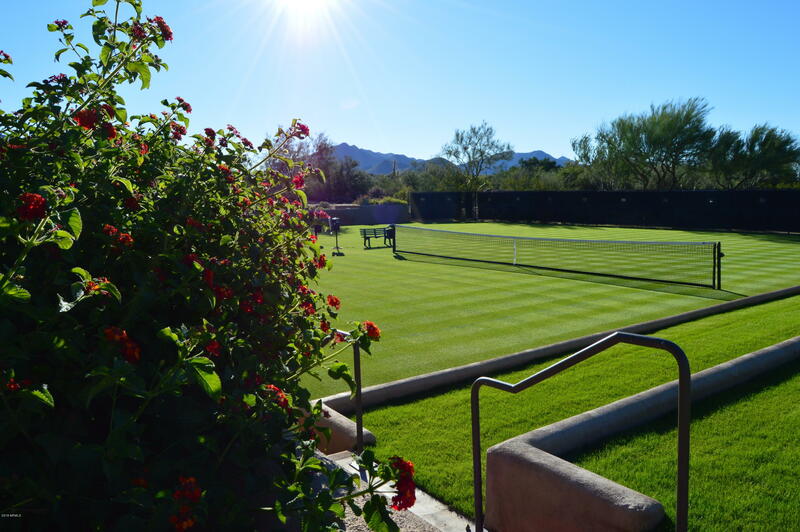 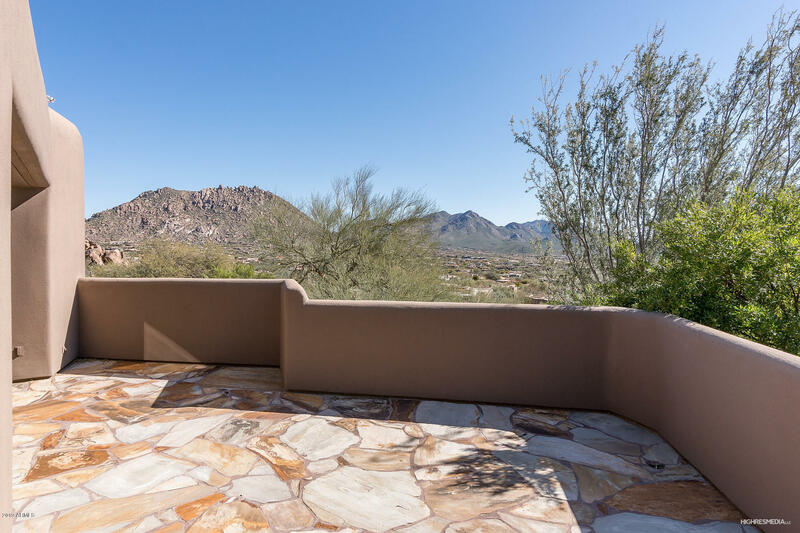 Sale also includes adjacent lot for unobstructed views of the Valley, city lights and surrounding McDowell Mountains. 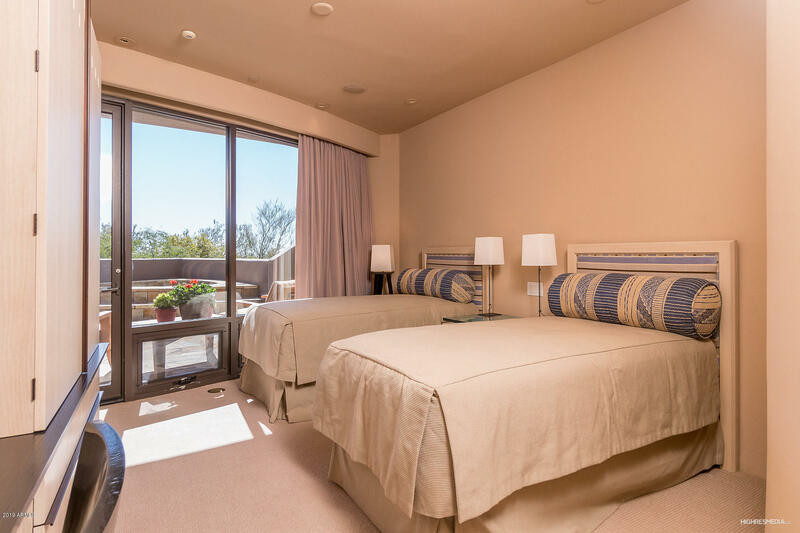 Floor to ceiling windows bring the breathtaking environment inside where you can enjoy it all in the lap of luxury and comfort. 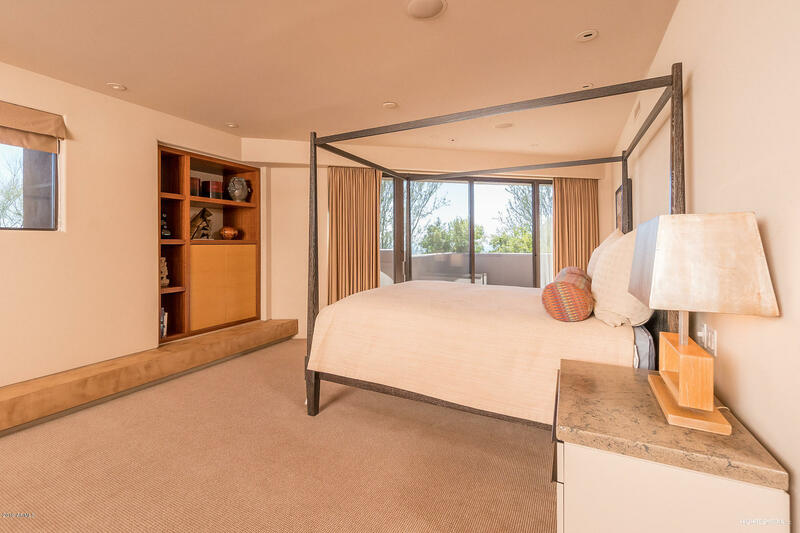 The finest finishes and furnishings enhance every space in this floor plan 4 separate bedroom wings surround the heart of the home. 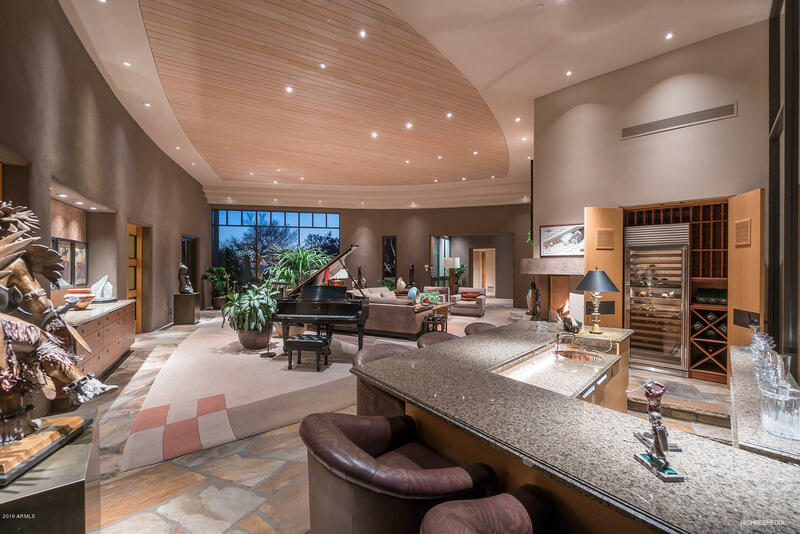 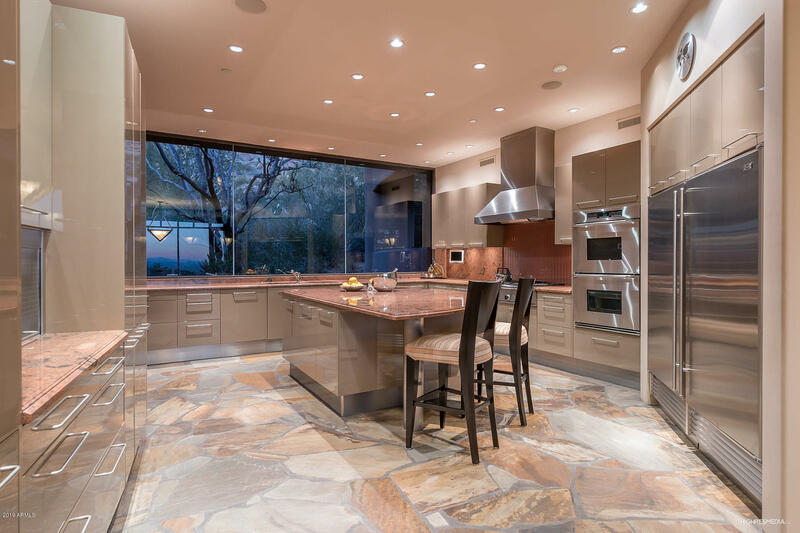 At its center find the Chef's Kitchen, Great room, Bar and Dining areas. 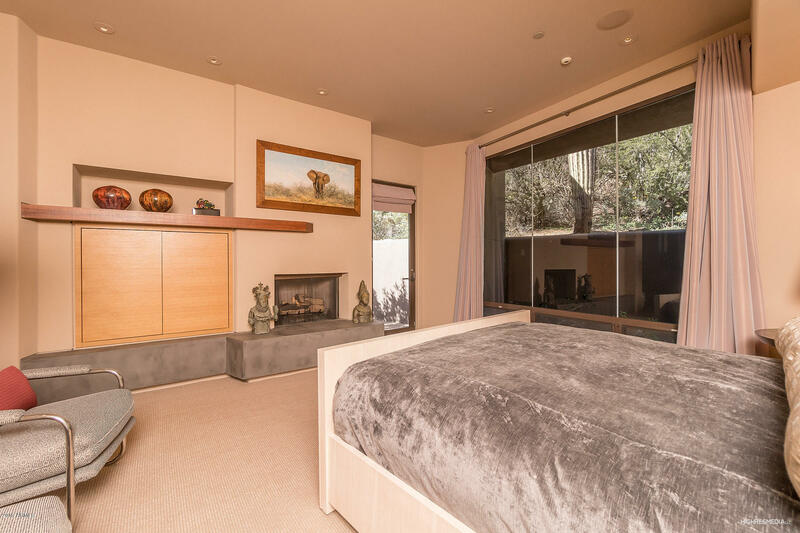 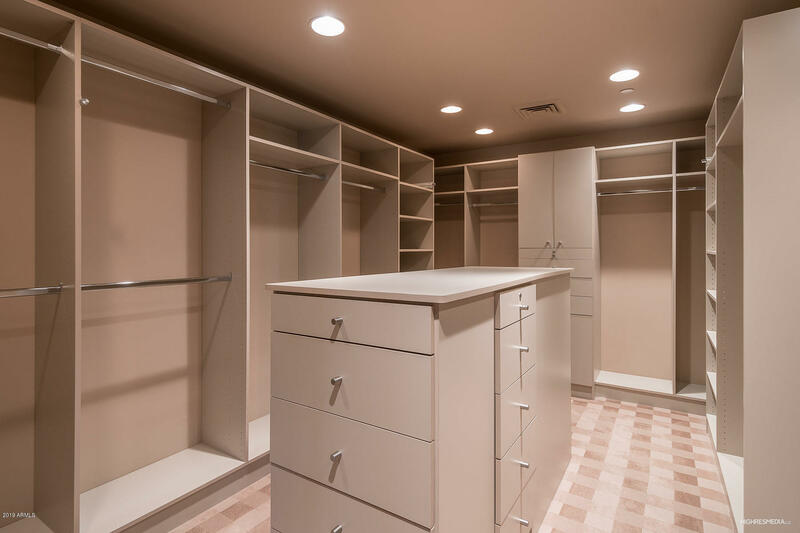 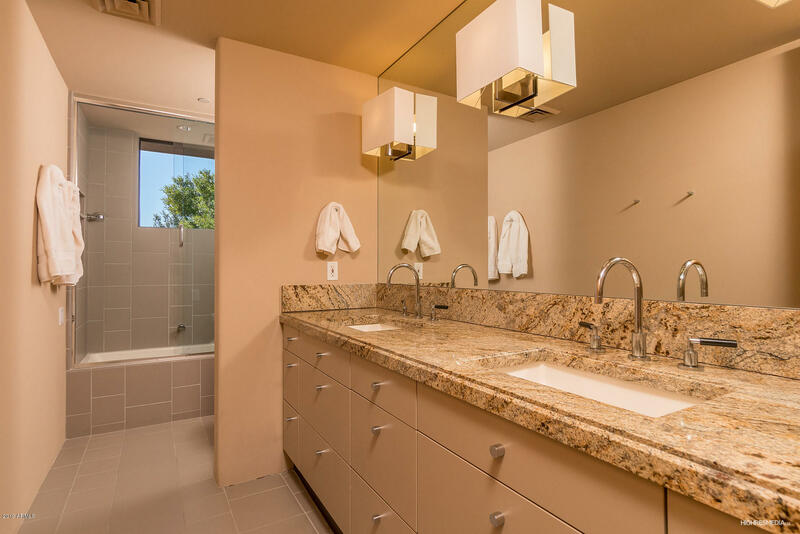 Master Suite has separate, exquisitely appointed His & Hers Bathrooms with their own walk in closets, 2 private balconies and 2 fireplaces. 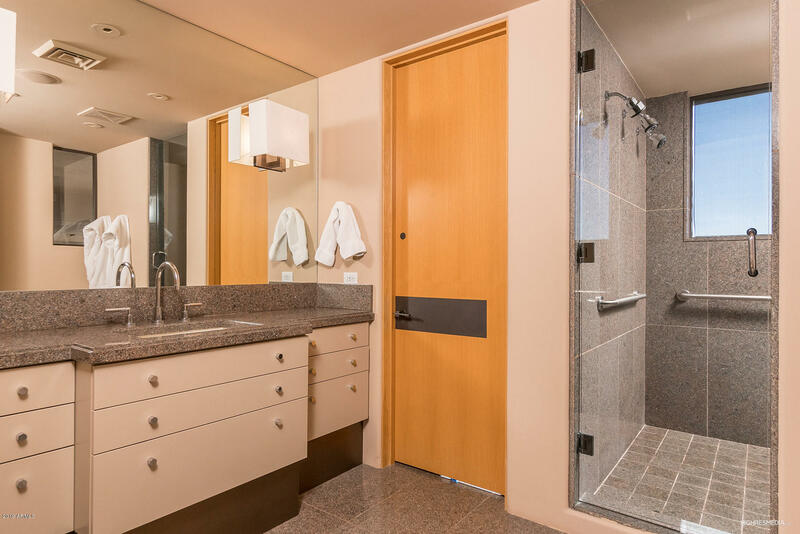 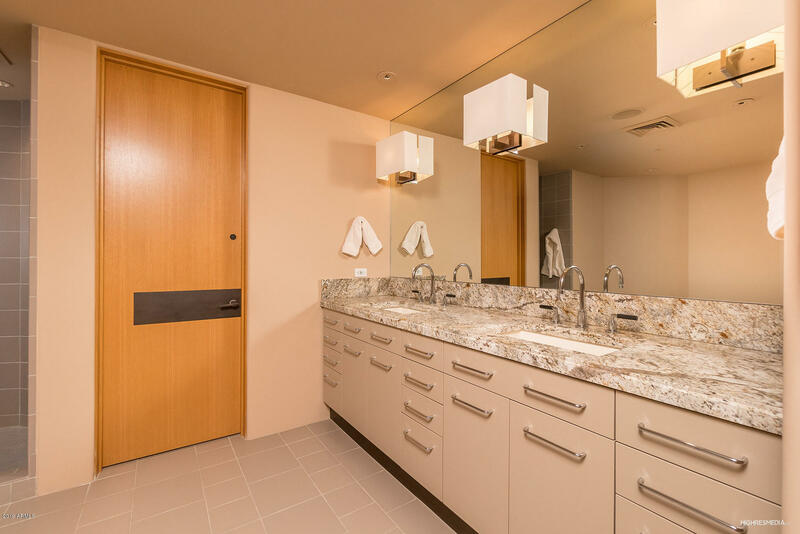 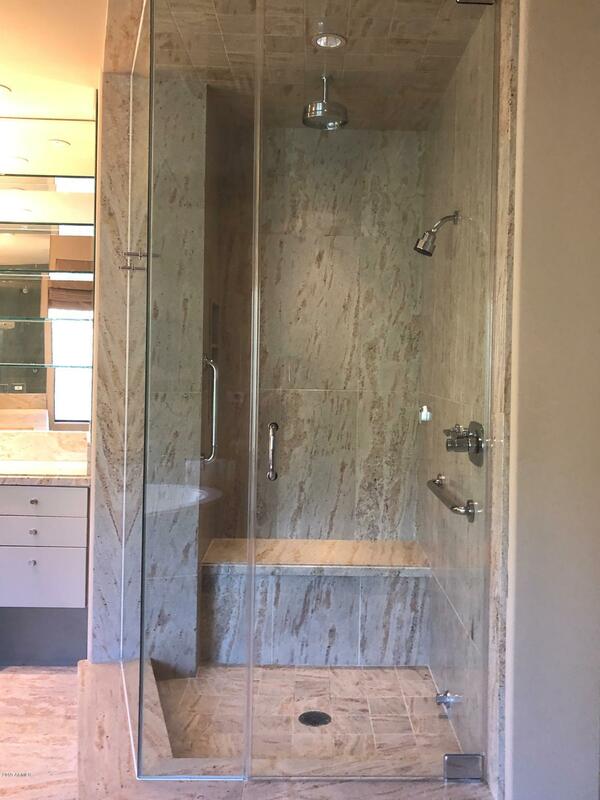 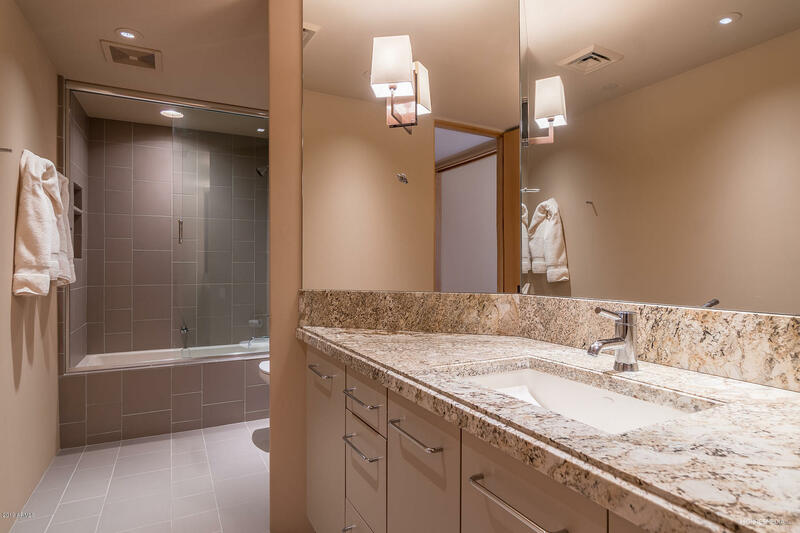 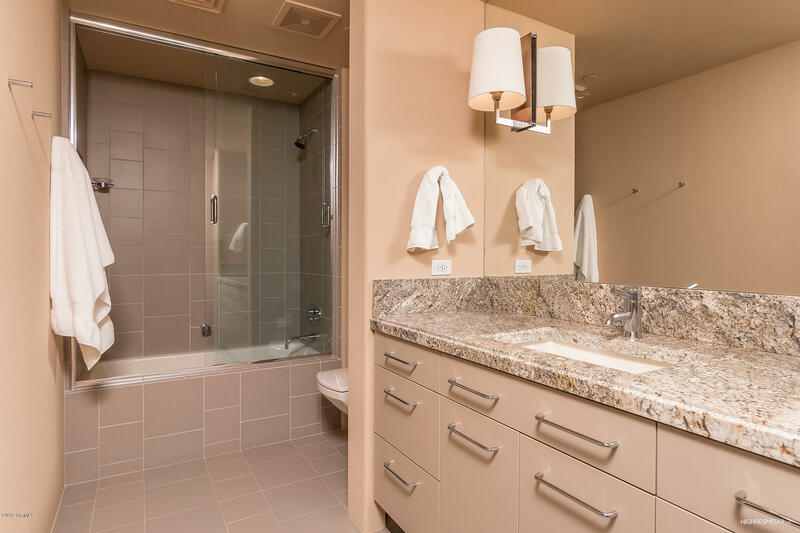 All guest suites boast private baths and unique features. 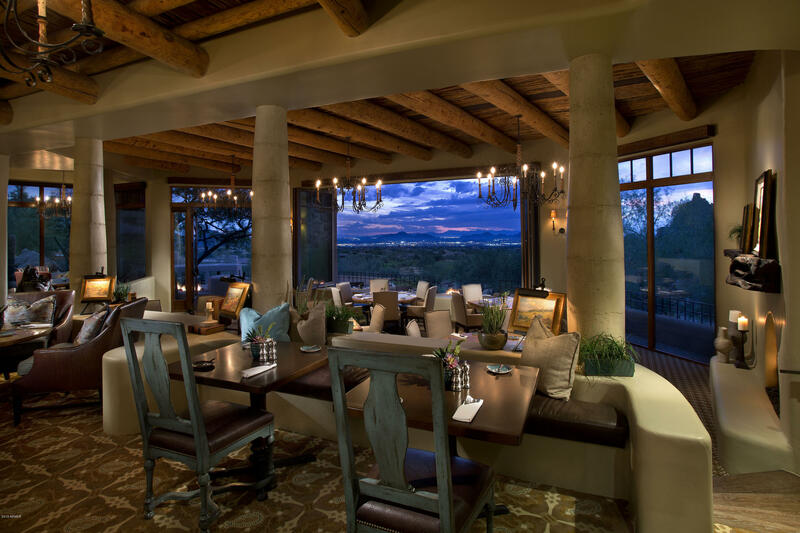 Outdoor kitchen and dining patio overlook the negative edge pool and spa and sparkling city lights after sundown. 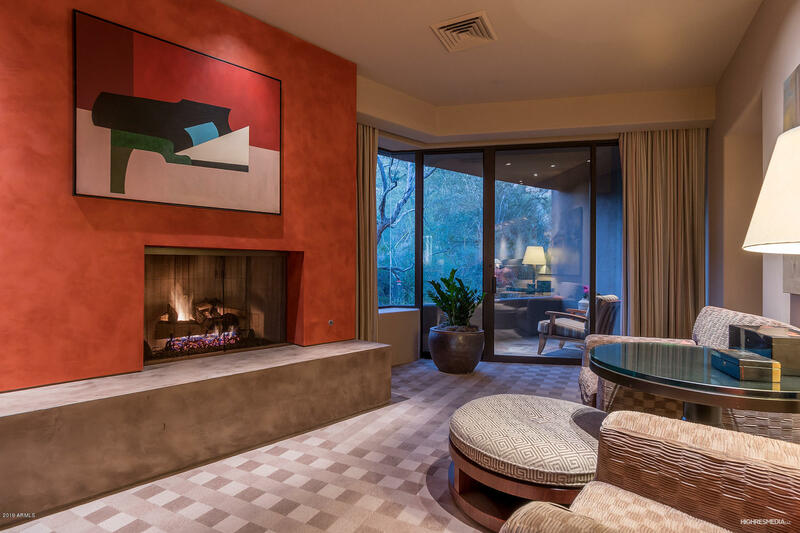 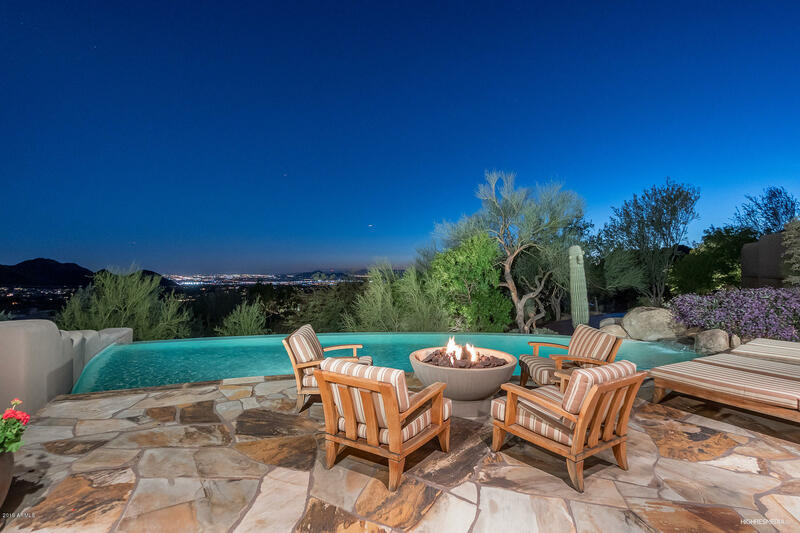 Expansive seating and pool lounging areas also boast fire bowl for chilly evenings. 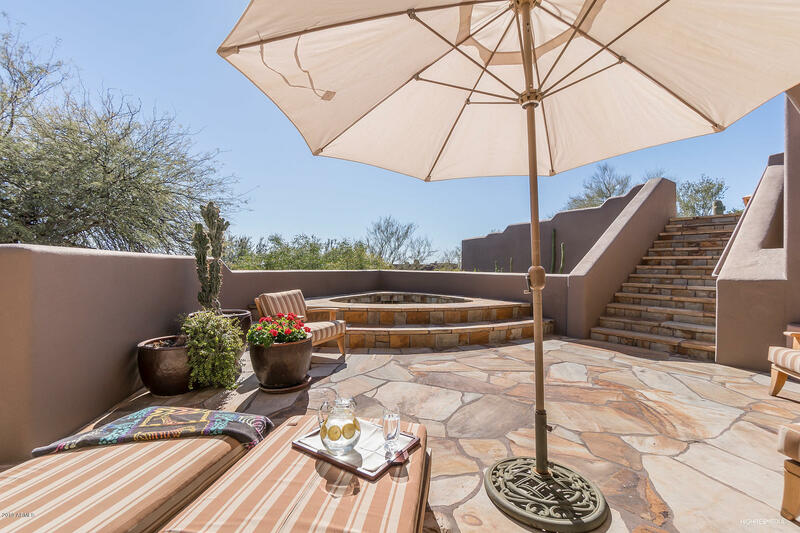 Numerous private balconies and secluded patios offer privacy and inspiring vistas off virtually every room. 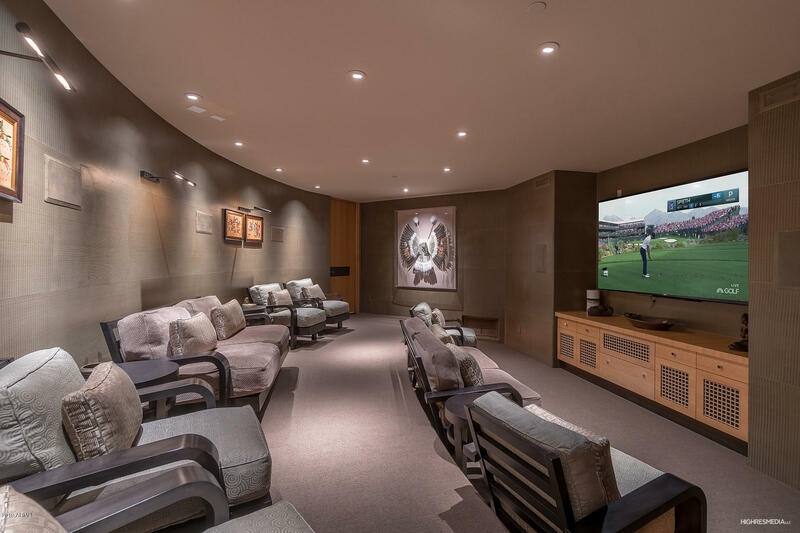 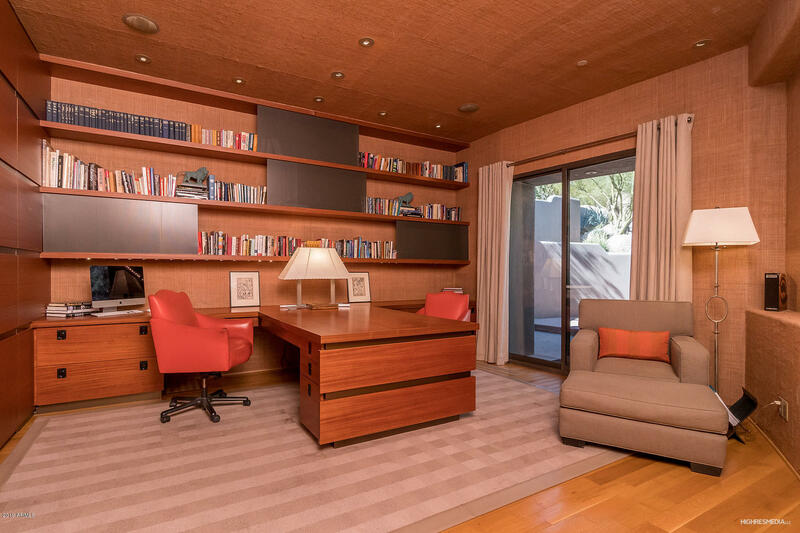 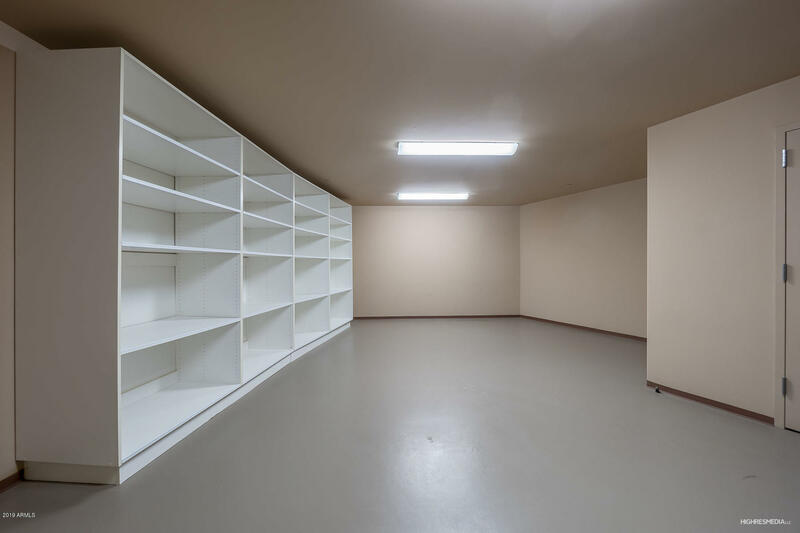 10 seat media theater and stunning Partners Office will impress the most discerning buyer. 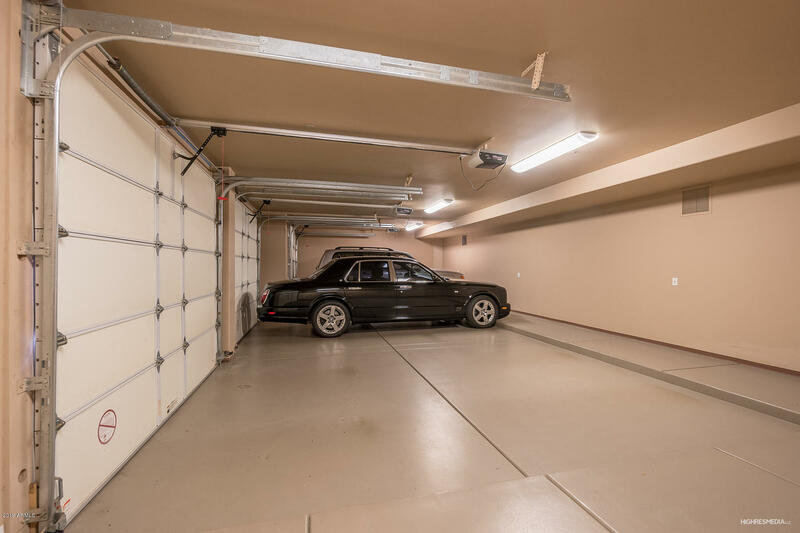 Housed in the generous 3 car garage is a Bentley Arnage for your touring pleasure, which is also included in this sale. 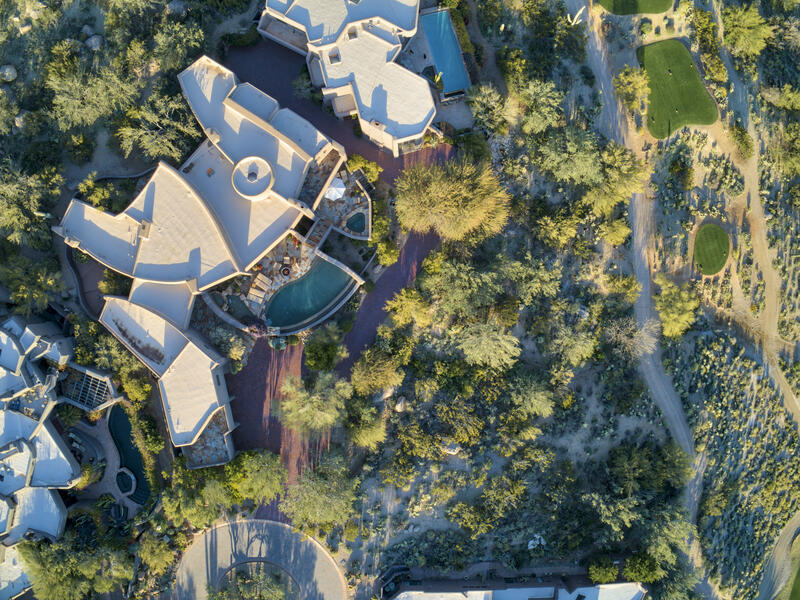 The vibrant community of Desert Highlands is recognized by Platinum Clubs of America as being in the Top 3 % in the country. 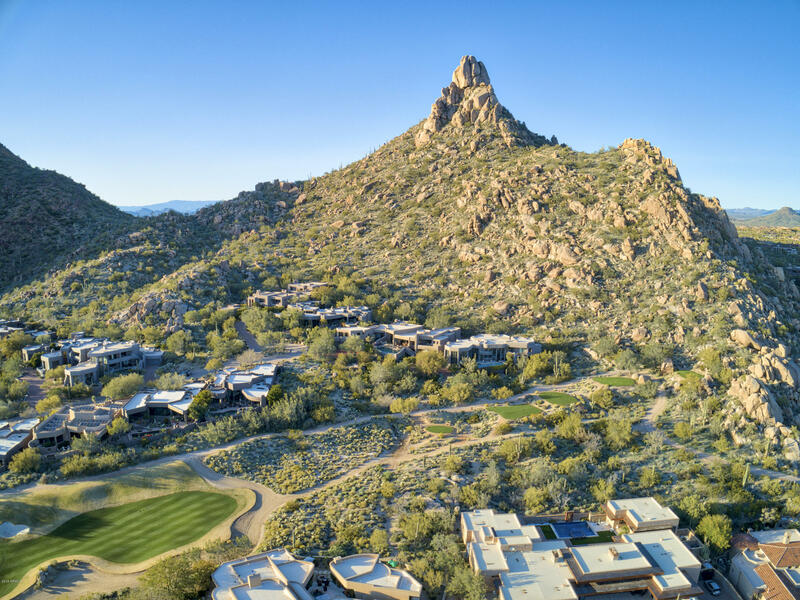 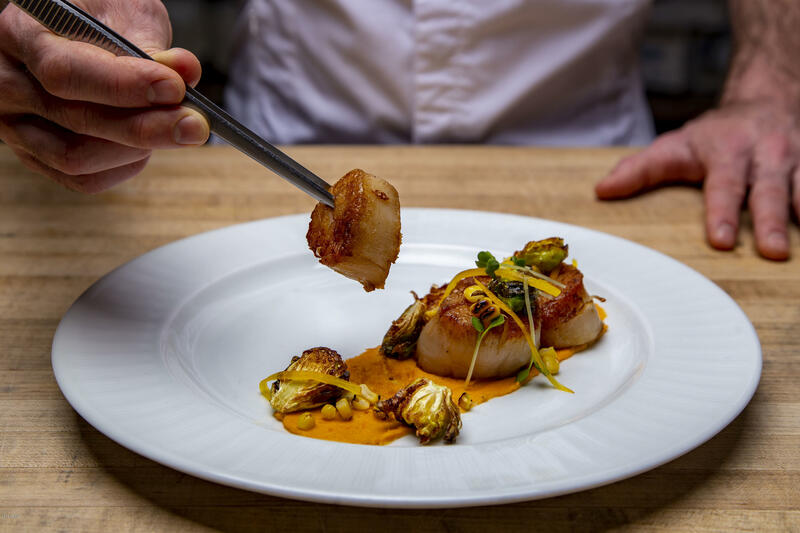 The centerpiece is 18 holes of Jack Nicklaus Signature Championship Golf and award winning Club House offering full amenities in a private, gated community of custom residences. 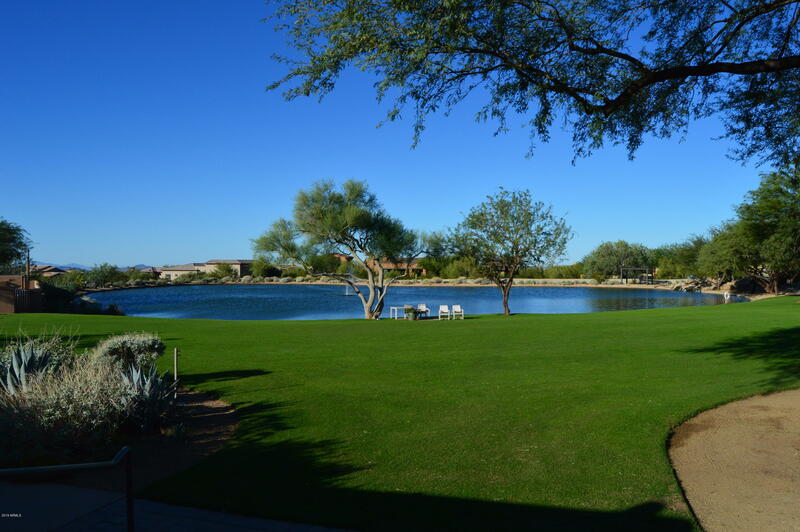 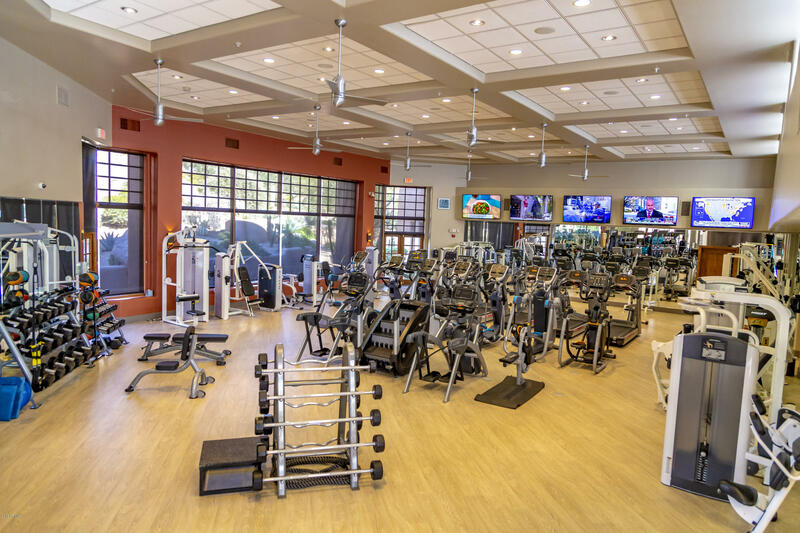 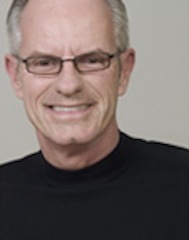 Enjoy the Gary Panks designed 18 hole putting course, award winning Racket Club with 13 courts, and a 7000 sq ft wellness center which all offer recreational opportunities and activities year round. For more information please see Documents tab, and Virtual Tour under Photo tab.